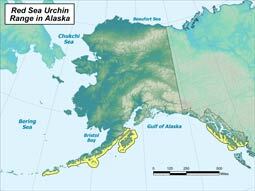 Red sea urchins have feet. Red sea urchins are radially symmetric. Red sea urchins live on sand and rocks. 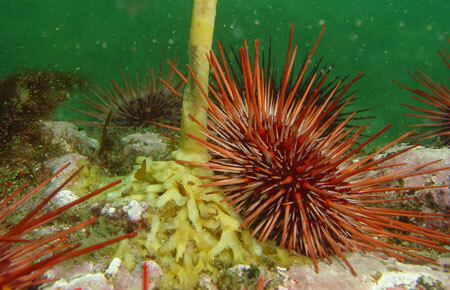 Red sea urchins are either male or female. 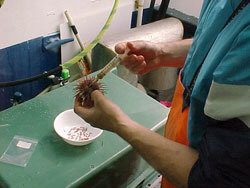 See Southeast Commercial Dive Fisheries for red sea urchin research.